Connox thrives on the fresh ideas and perspectives of its young, motivated team. Starting in 2005 with only one employee, the company has expanded dramatically and been enriched with many new faces over the years. 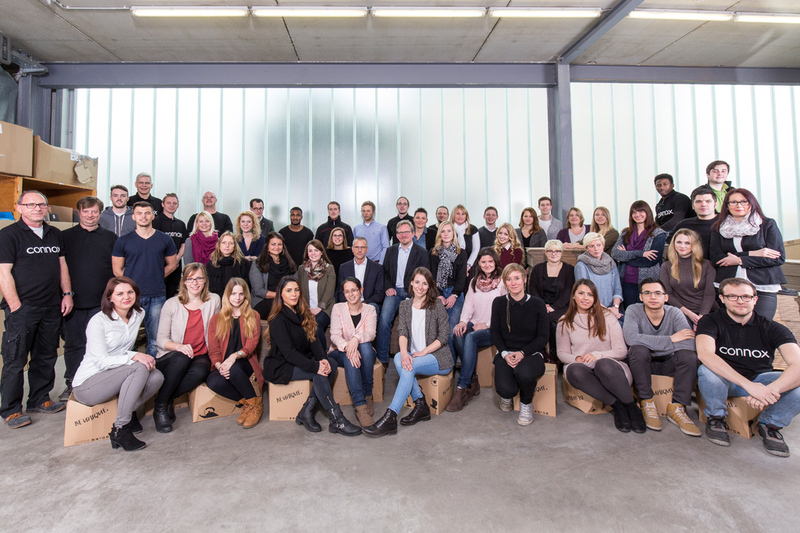 The team now comprises of more than 100 employees, including full-time staff and a diverse range of temporary staff members and apprentices: design-experts, art historians, marketing experts, IT specialists and warehouse professionals. Together, we work to offer you the best possible shopping experience. We live for home accessories and furniture design. We study the work and life of renowned designers and select their best works for our collection. We want you to be able to shop comfortably and safely in our online shop: we answer questions, pack thousands of parcels and appreciate customer feedback. Our customer service team takes care of you, your questions and concerns. You can reach them between 7am and 5pm on +49 (0)511 300341-0 or via email at service@connox.co.uk. Our design experts in the product management department are in close contact with manufacturers and designers throughout the world. They look after the varied selection of exceptional design objects and compile our unique selection. They also fill our shop pages with detailed product descriptions and detailed pictures. The purchasing department orders our products before we run out of stock. This is how we are able to have a large amount of our items in stock all the time. This means most of the items can be with you only one or two days after you order them. The purchasing department works closely with all the distributors and manufacturers of the goods we offer. The employees of the marketing department take care of the interior design blog. They keep in contact with the press, inform you about news and offers with newsletters, place adverts and they create and develop the Connox catalogue (only available in German). ConnoxPlus members, cooperation partners and bloggers are also in good hands with our marketing team. Our logistics team organises the commissioning and packaging of the parcels you ordered. The team makes sure the goods arrive with you without damage and as fast as possible. This is how all orders placed before 2pm that are in stock will be shipped on the same day in order for them to arrive with the customer as soon as possible. Our close cooperation with different shipping companies is the reason why we are able to send parcels around the world. The team in the accounting department keep the commercial process running. The whole invoice procedure is their field of responsibility. They also ensure that your vouchers are considered when you place an order. The IT specialists at Connox GmbH programmed our shop system "EC Suite". The modular SaaS solution is the central system we work with every day. Our colleagues in the IT department develop our shop constantly; they adapt our shop to the ever-changing demands of the market. They are the reason your data is in good hands at Connox: They are always up-to-date with the newest safety procedures. Find out more about us and visit us on Facebook, Google+ and Twitter, where we provide you with employee portraits and interviews. Look at Instagram or Pinterest for a glimpse behind the Connox scenes. And as soon as there is a job available, you will find it on Xing and Linkedin.